Large enough to service your needs, small enough to care. 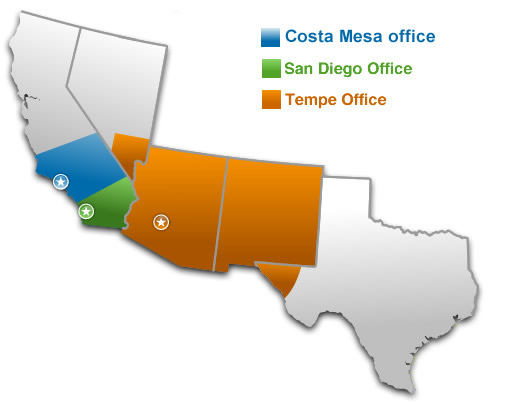 West Electronic Solutions is the leading Manufacturer’s Representative serving Southern California, Arizona, New Mexico, Clark County Nevada and El Paso Texas with offices in Los Angeles, and Phoenix. South California from Paso Robles to San Diego. Serving San Diego, Imperial County and corresponding Maquiladora areas. Serving Clark County Nevada, Arizona, New Mexico, El Paso Texas and corresponding Maquiladora areas.